You will sit in comfort on this fine arm chair with upholstered back, adjustable height, tilt, and casters. Finally, we have created a collection that is not only functional and affordable, but attractive. The Warrington features a rich cherry finish, supple black vinyl, a pretty round back chair and traditional design elements. This collection is the perfect way to turn your kitchen or dining room into an entertainment hot spot for friends, family and fun. 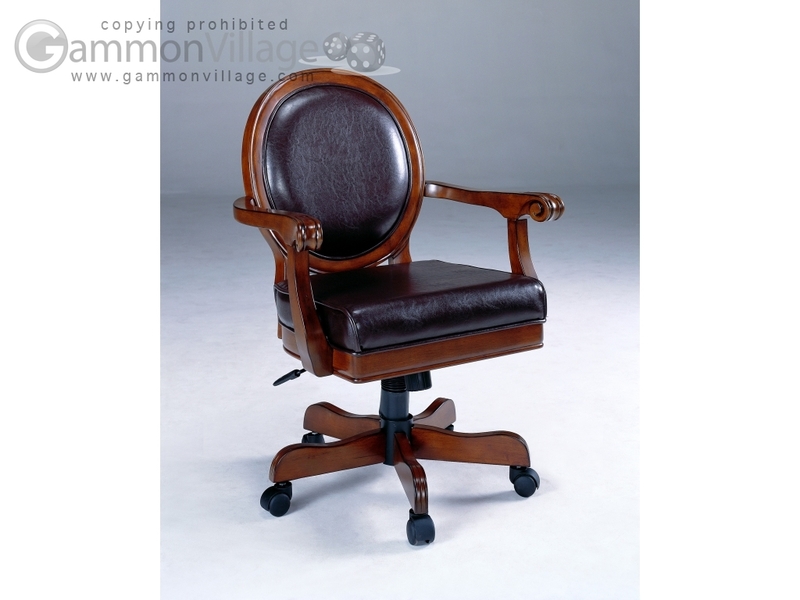 Chair Height: 37" Width: 25 1/2" Depth: 26"
Page P2550 Copyright © 1999-2019 GammonVillage Inc., USA. All rights reserved.